One week into preseason practice, LSU coach Paul Mainieri has been forced to make some personnel moves. First, sophomore pitcher AJ Labas underwent shoulder surgery and will miss the 2019 season. Labas’ freshman season ended early due to soreness in his right shoulder. Labas, who was a Freshman All-American, finished with a 6-2 record and a 3.48 earned run average. Second, Mainieri brought back infielder Chris Reid. Mainieri cut Reid, a three-year veteran of the Tigers program last fall. Reid batted .267 with seven runs batted in during 60 at-bats in 2018. His career batting average is .275. In order to keep the roster at 35, Mainieri released walk-on infielder Michael Kirsch. Reid was reinstated to the team because of the lack of depth on the left side of the infield. The projected starters at third base and shortstop are Hal Hughes and Josh Smith, respectively. Mainieri has concerns about freshmen Drew Bianco and Gavin Dugas being prepared to play as backups. “I am worried about the depth on the left side of the infield,” Mainieri said. “I am worried about Bianco and Dugas’ readiness to play defensively on the left side of the infield. We had no adequate backup on the left side. I know Chris can make the routine play and can give us a professional at-bat. Labas is the second pitcher who will miss either most or all of the upcoming season. Mainieri hopes that Nick Storz, who had surgery for his lat muscle, will be back by the end of April. 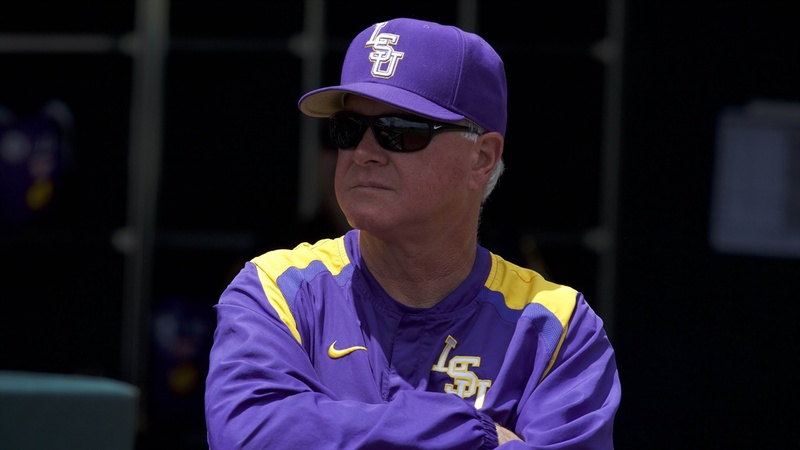 A greater problem for Mainieri cropped up when No. 1 pitcher Zack Hess strained a groin muscle while running in the outfield. Hess will not throw for another week. His availability for the season-opener is now up in the air. Reportedly, pitcher Eric Walker was okay in his first January outing last Monday. The impressive pitchers in the first week of practice have been freshmen Jaden Hill and Cole Henry. For the first two weeks of the season, LSU will need five starting pitchers. If everyone is healthy, those five starters would be Hess, Walker, Marceaux, Hill and Henry. Chase Costello is being moved to the bullpen. No one has separated himself from the pack at first base. Freshman CJ Willis had a good scrimmage one day and a bad one the next. Three other freshmen – Cade Beloso, Bianco and Dugas – have been working at first base. Bianco is on the shelf right now after straining a hamstring diving for a ball. Starting righfielder Antoine Duplantis woke up with a stiff back Wednesday and has not practiced since then. Freshman Giovanni DiGiacomo has replaced Duplantis in the lineup.